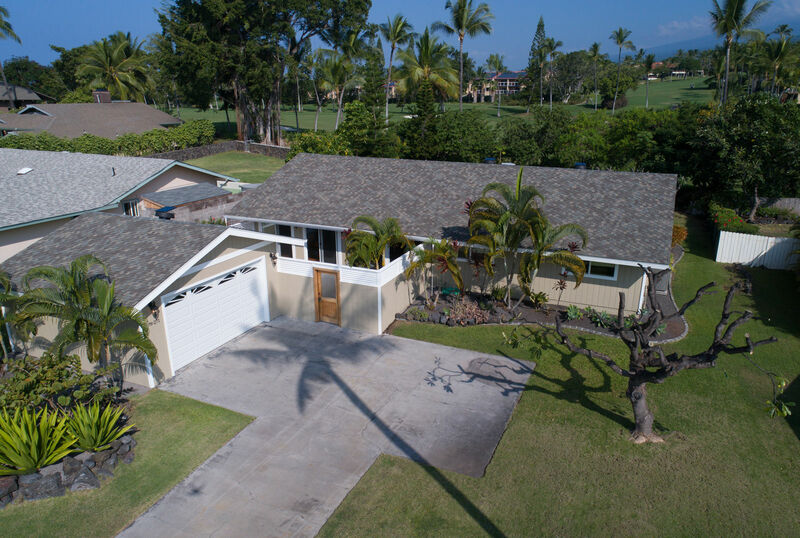 Located in a very desirable neighborhood, the Keauhou subdivision, this beautifully remodeled home sits right on the Kona Country Club Golf Course and offers exceptional golf course views! 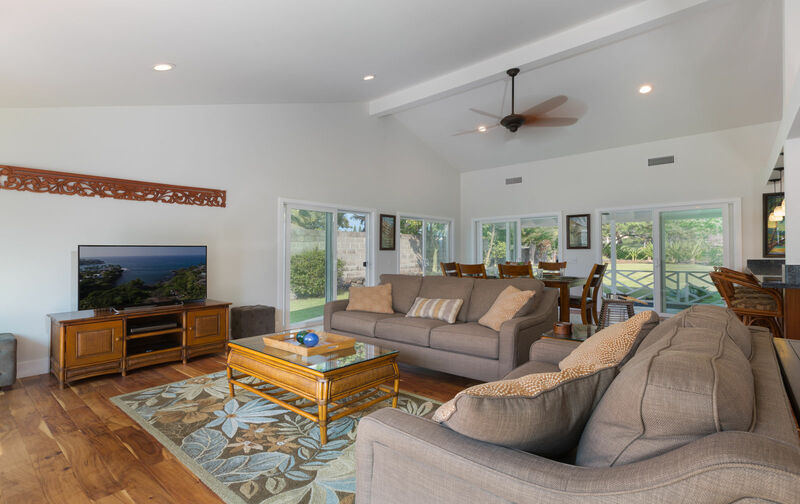 This home is surrounded by beauty and is directly across the street from beach/shoreline access, which leads to the incredibly beautiful He’eia Bay! 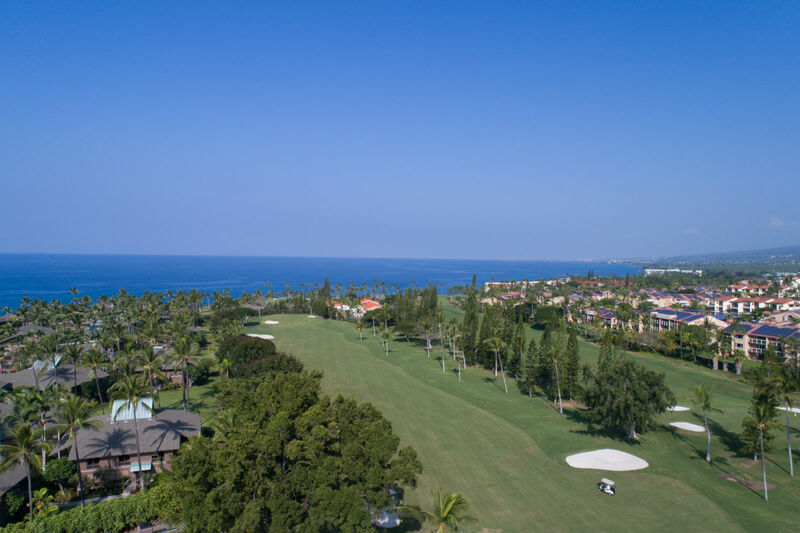 The Kona Country Club is in close proximity and will be a wonderful addition to your vacation, with its spectacular ocean views, excellent facilities, state of the art golf course and friendly service. 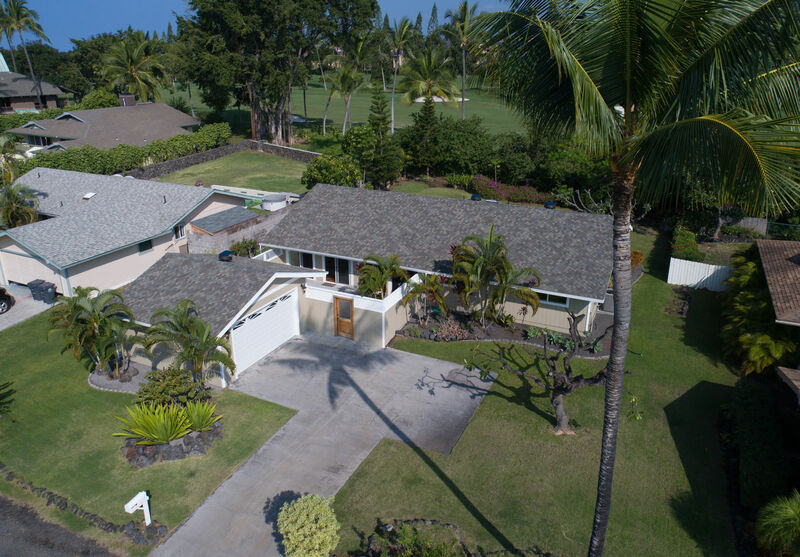 This gorgeous 3 bedroom, 2 bathroom home has been updated with high end, stylish island décor. 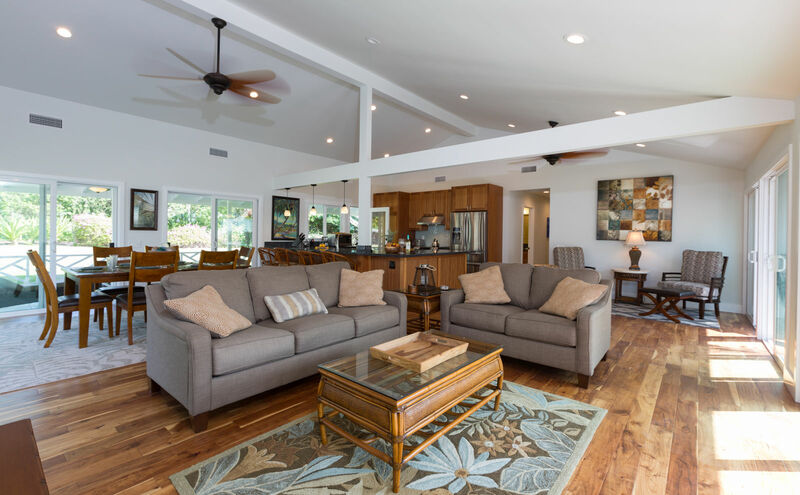 The desirable open floor plan, beautiful hardwood floors and vaulted ceilings add to the comfort and style of this incredible home. 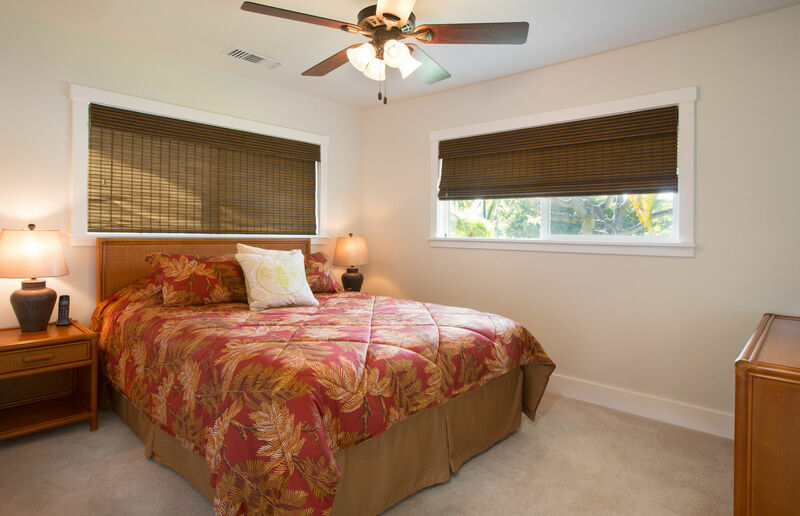 The spacious guest bedrooms have queen size beds. 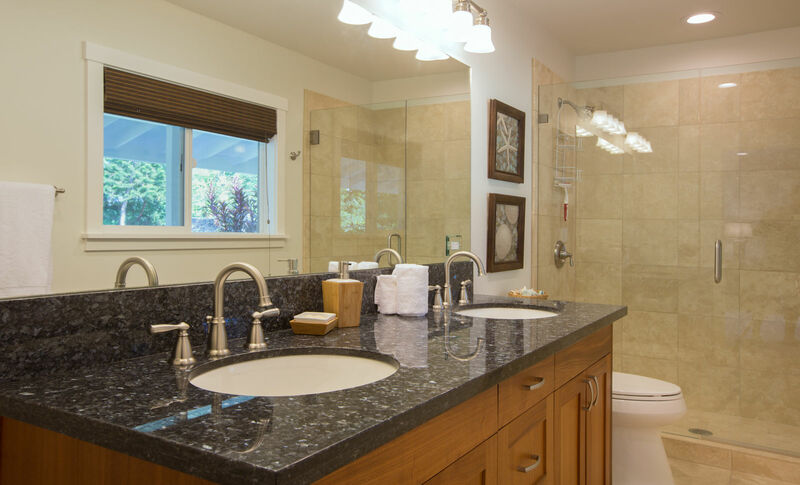 The guest bath is a nice size with a tub and shower. 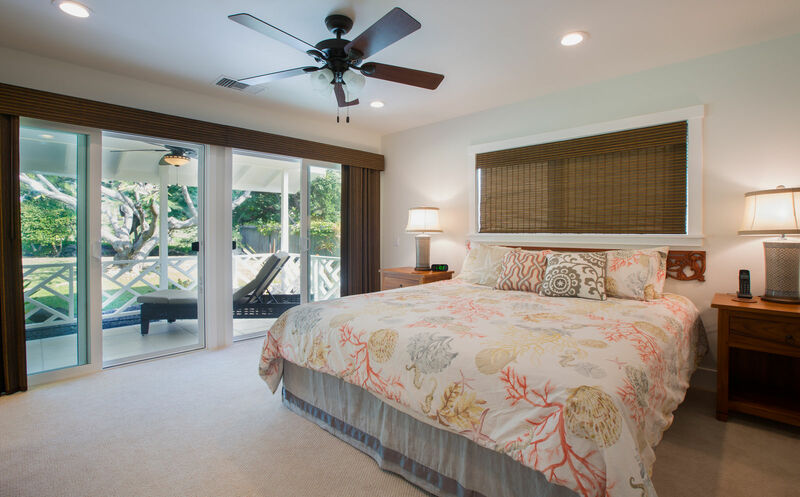 The master bedroom has a king size bed, large sliding glass doors that lead out to the lanai, and a spa like en suite, sporting a double vanity and large glass enclosed shower. 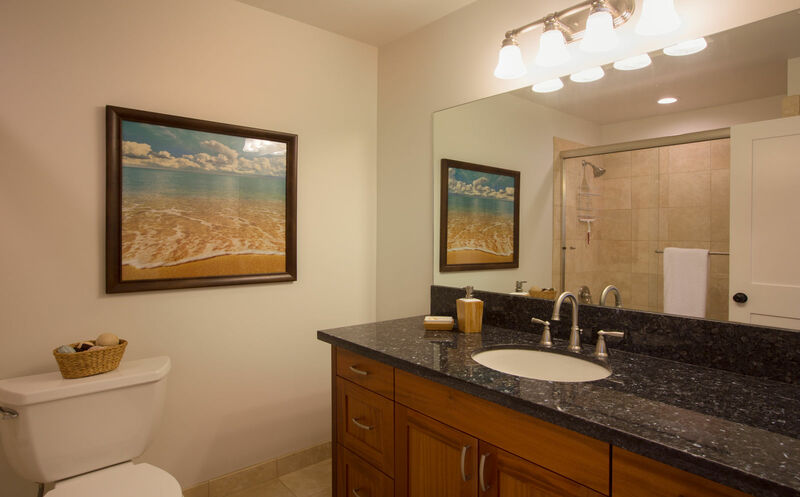 The second and third bedrooms have comfortable queen beds and share the spacious second bathroom. 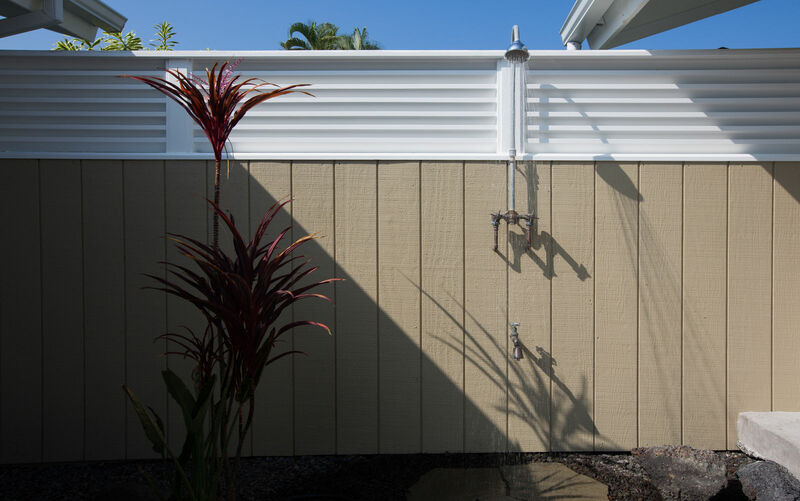 There is also an outdoor shower for your convenience! 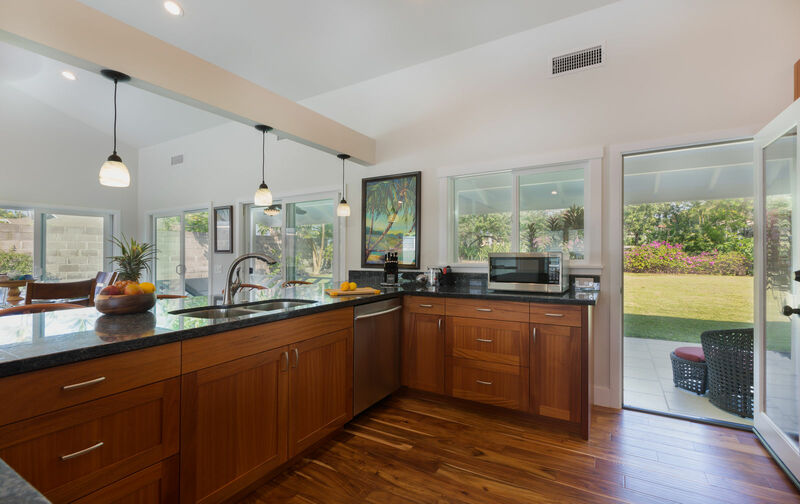 The modern, updated kitchen has lovely wood cabinets, granite countertops, and new stainless steel appliances, along with a breakfast bar. 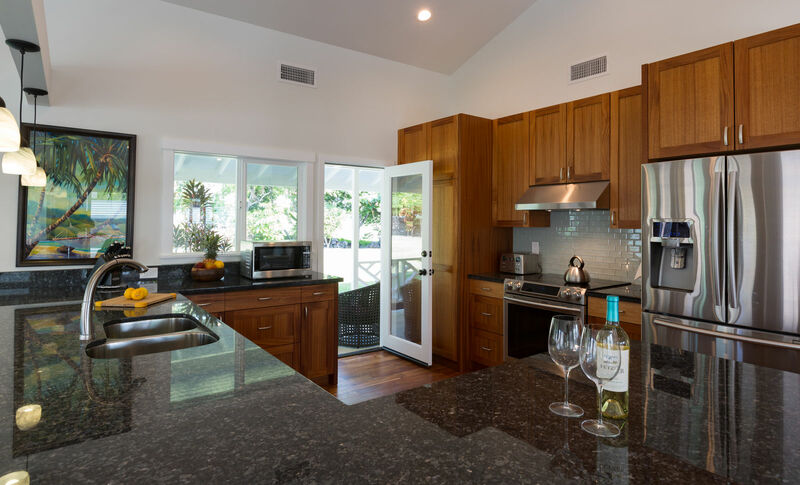 You will enjoy all the modern conveniences of home in this amazing kitchen! 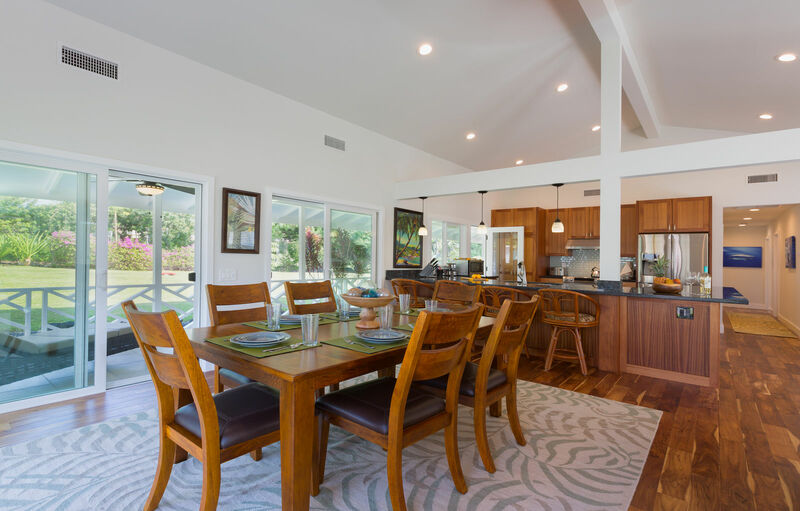 A separate dining area is right off the kitchen. 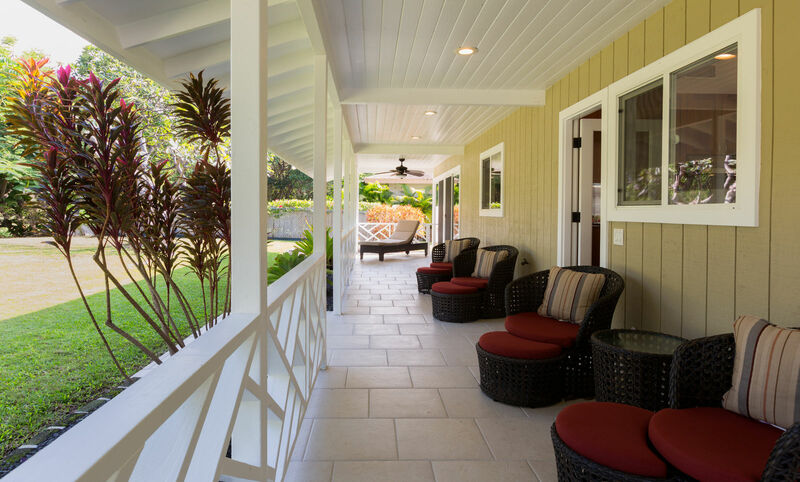 The light and airy living room is comfortable and opens up to a large lanai. 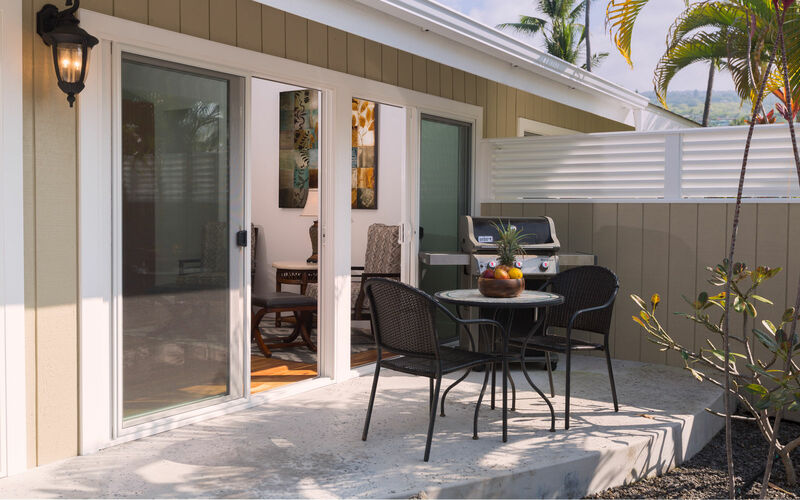 Come relax, take in the views, or dine on this beautiful lanai. 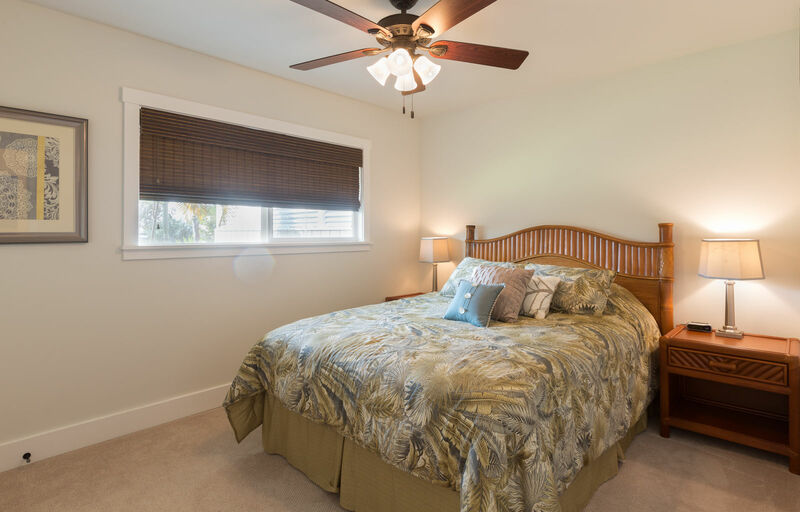 With all the modern technological desires covered, central air conditioning, and ceiling fans, you will stay comfortable and entertained in this amazing home! 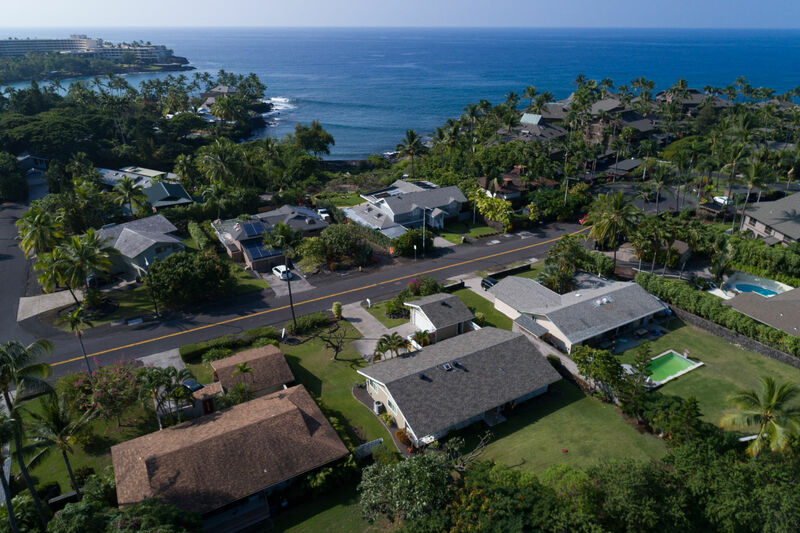 Location is everything and Kona offers it all! 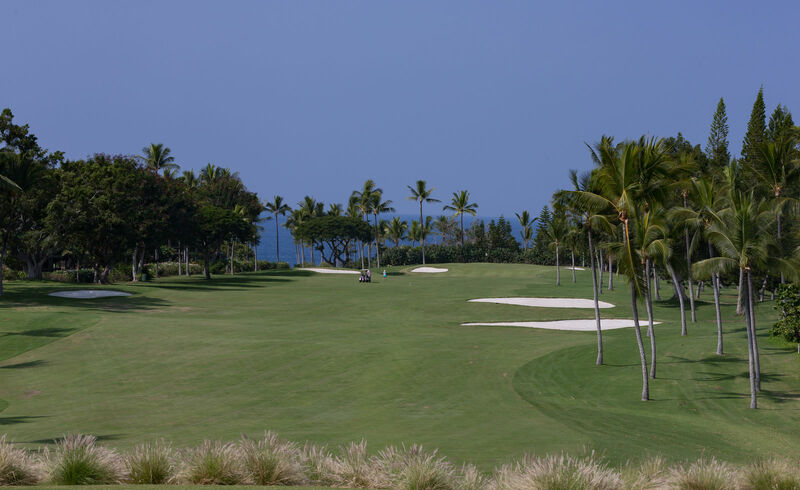 Visit the famous Ali’I Dr. for an incredible, unsurpassed dining and shopping experience! 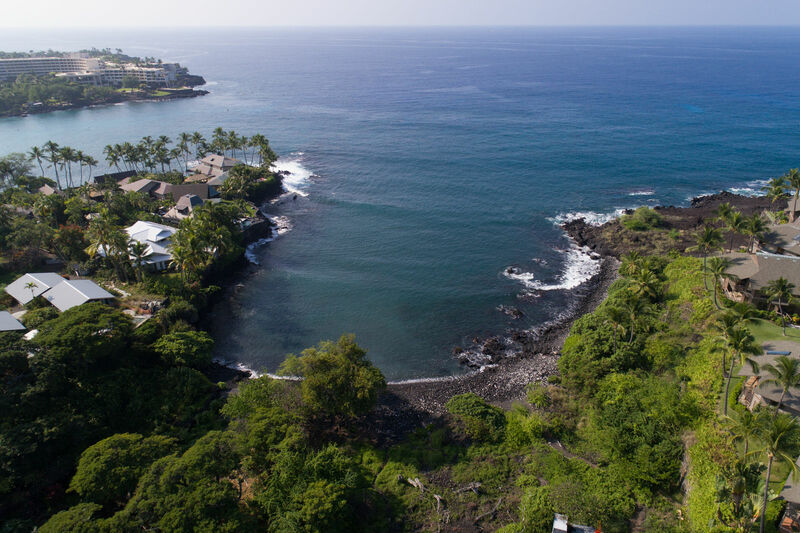 The White Sands Beach in La’aloa Beach County Park is a must see while visiting Kona. There is so much to do and see, and experience! 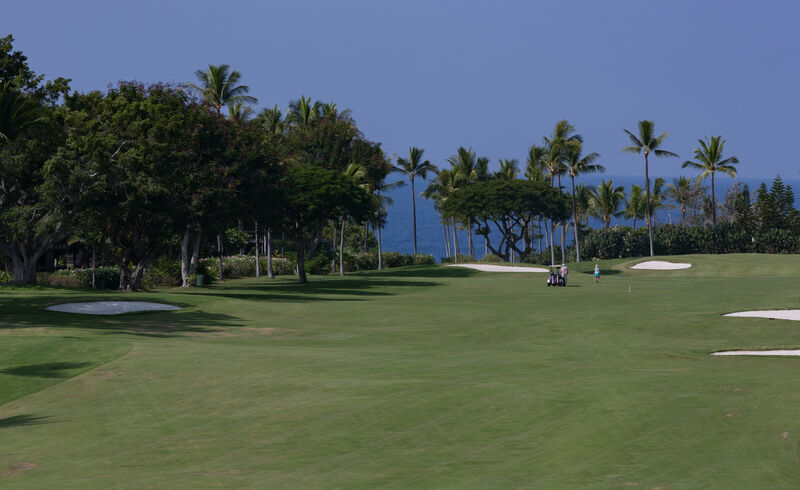 Come enjoy all the Big Island of Hawaii has to offer! 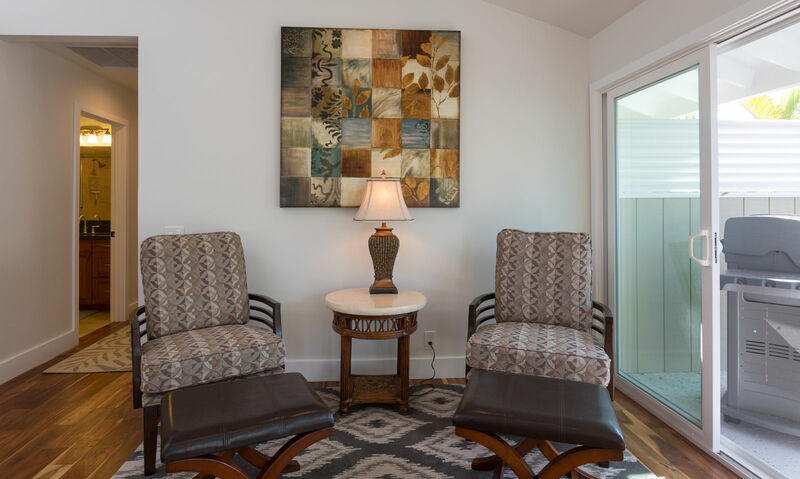 Our gorgeous, comfortable home will pamper you and take care of all your needs. We look forward to having you as our guests!! 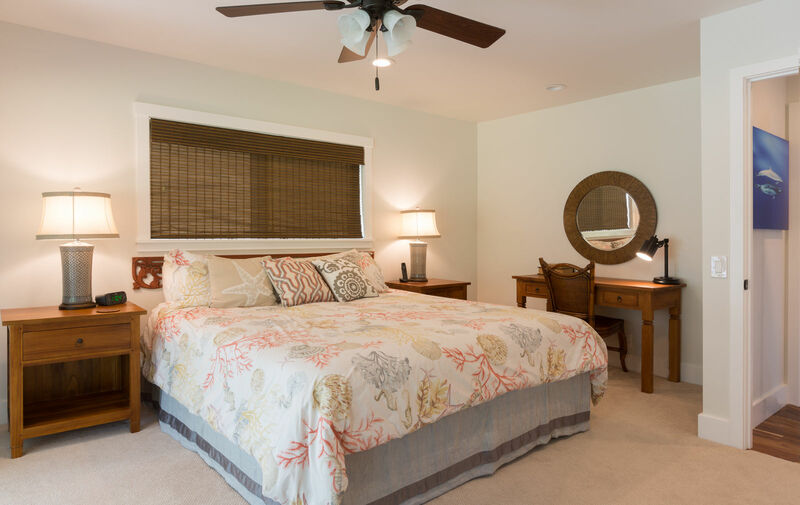 A/C Notes: This home has 1 central AC unit which cools the entire home. The temperature should not be set below 70 degrees and should be set to 80 when leaving the home to conserve energy costs.